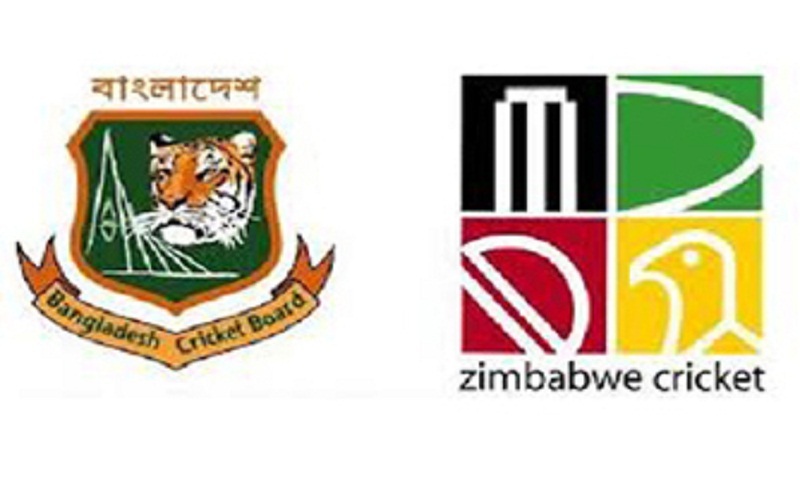 Favourite Bangladesh take on Zimbabwe in the first ODI of the three-match series scheduled to be held today (Sunday) at Sher-e-Bangla National Cricket Stadium at Mirpur in the city. The match kicks off at 2.30 pm. Both the teams know each other’s strengths and lacking very well. In recent years, the Tigers have been showing consistent performance in the fifty over format displaying more of those strengths while Zimbabwe’s last away ODI victory against them came as long ago as 2010. The Tigers will go to the field in the first match missing the service of their two key players Shakib AL Hasan and Tamim Iqbal. The ace all-rounder Shakib’s recurring finger injury has ruled him out for another three months, while dashing southpaw opener Tamim is yet to recover from the knuckle fracture he sustained after being struck by Suranga Lakmal in the opening game of Asia Cup. Though Mashrafe and Mushfiqur have only recently recovered from injuries sustained in the same tournament but neither of them are fully fit. Even Mahmudullah was struggling with a little rib pain earlier this month. Bangladesh fast bowler Rubel Hossain, who recently returned from hospital, is still recovering from a fever and is uncertain for the first ODI against Zimbabwe. The opening partnership was an issue for Tigers in the Asia Cup – Liton Das and Mehidy Hasan’s 120-run stand in the final being the exception after Nazmul Hossain Shanto and Soumya Sarkar failed earlier in the tournament. In-form batsman Liton Das seems to be in good form. He scored a brilliant century in the Asia Cup final though his maiden ODI ton was not enough to resist India’s victory in the contested final. With Bangladesh eyeing potential opening partnerships for next year’s World Cup, quick runs at the top of the order on the first game would definitely help him to make his place in the team. On the other hand, The African nation Zimbabwe arrived in Bangladesh of a seven-month losing streak, having been whitewashed by both Pakistan and South Africa in their last two series. They also began their Bangladesh tour with a losing note as they lost to BCB XI by eight wickets in a lone practice match. Masakadza scored a century and Chigumbura added 47, but no other batsman reached the double digit in the face of BCB XI’s tight bowling display. So it can be perceived that the host is favourite in the series and positive results will obviously help their preparations for next year’s World Cup. Bangladesh (probable): Liton Das, Nazmul Hossain Shanto, Imrul Kayes, Mushfiqur Rahim (wicket keeper), Mohammad Mithun, Mahmudullah, Fazle Mahmud, Mehidy Hasan, Mashrafe Mortaza, Rubel Hossain and Mustafizur Rahman. Zimbabwe (probable): Hamilton Masakadza, Solomon Mire, Craig Ervine, Brendan Taylor (wicket keeper), Sean Williams, Sikandar Raza, Elton Chigumbura, Wellington Masakadza, Brandon Mavuta, Kyle Jarvis and Tendai Chatara.